LET US NEVER SPEAK OF THIS GAME AGAIN. This is a story about my buddy Seamus. He’s the kid standing next to me in the photo below. It was snapped while we were tailgating before the game against UCLA at the Rose Bowl back in 2012. 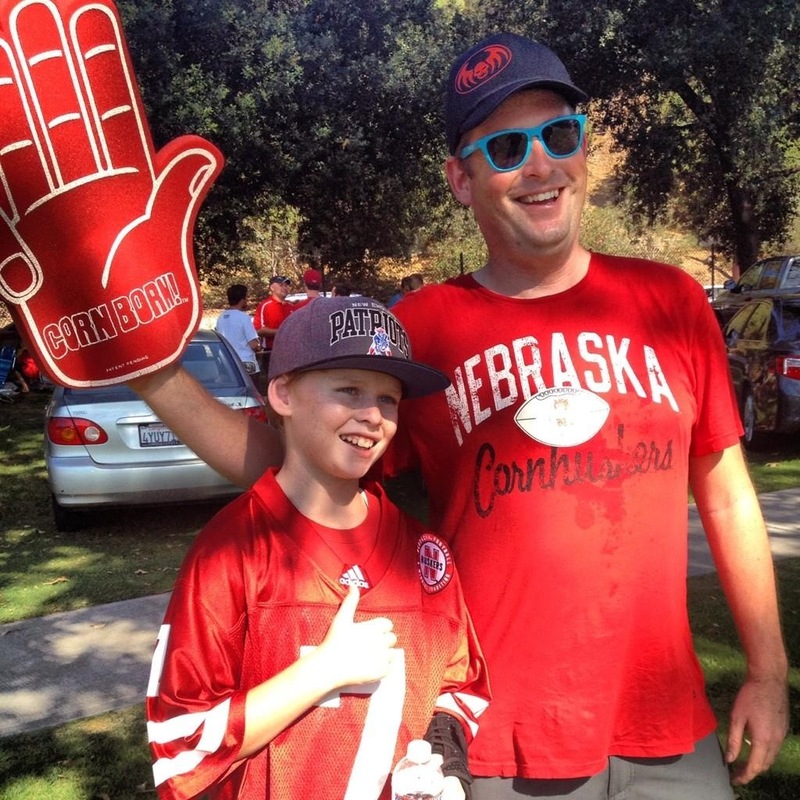 I took him and his dad and a couple other buddies to the game so they could experience Husker football in person. It was the least I could do after years of droning on about the Big Red during our Sunday morning bike rides. 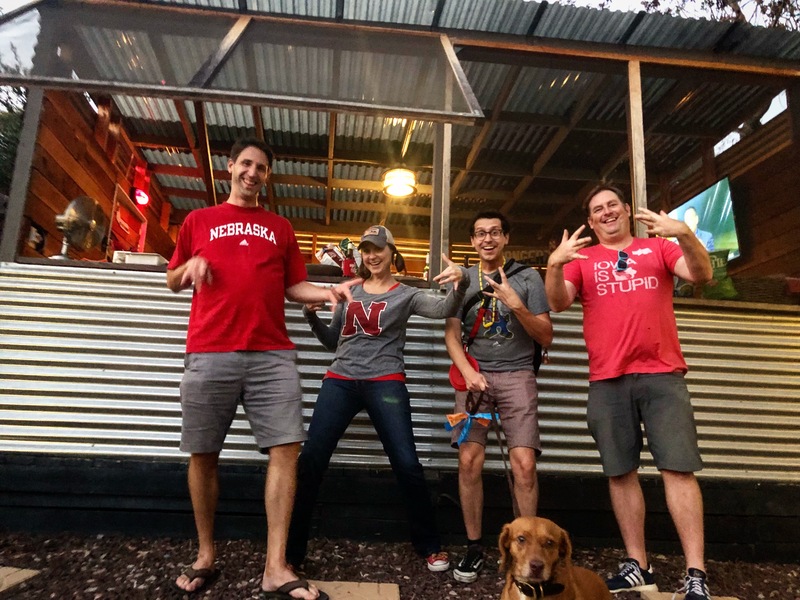 For one friend, I promised him that if he went to the game, I’d never mention the Huskers again. That deal is still (mostly) intact to this day. But let’s get back to Seamus. Seamus was born and raised in West Hollywood. 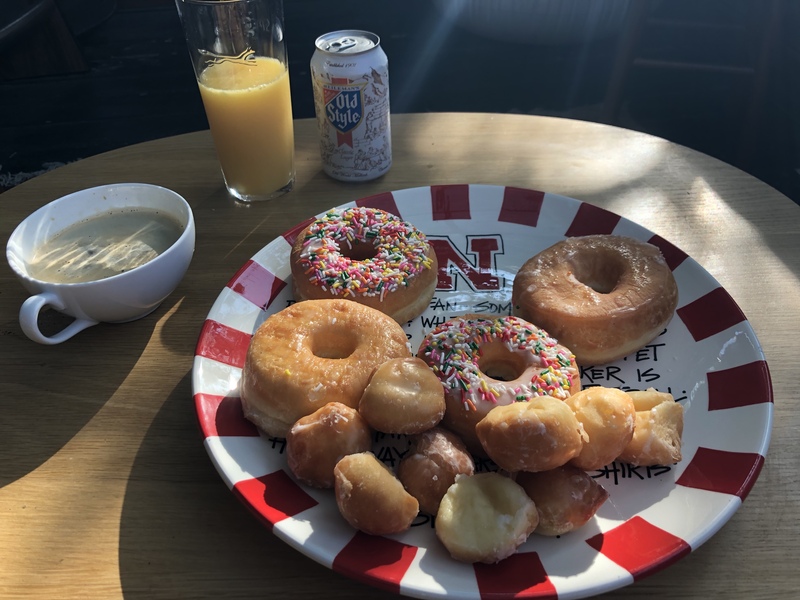 The most experience he’s ever had with Nebraska was finding it on map in school but it was no accident that he was wearing a number 7 jersey for his first Husker game. 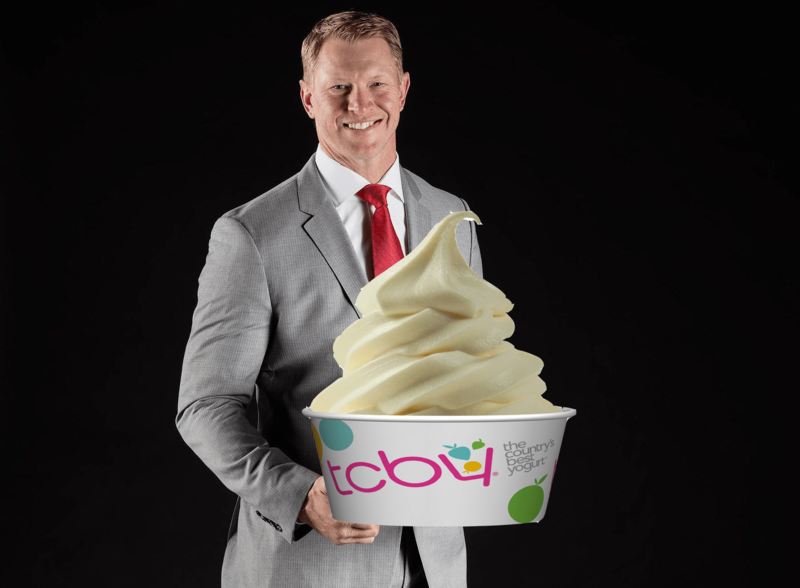 I custom ordered it for him so that he could surprise his friend Scott Frost the next time he saw him. Yep. My buddy Seamus is friends with Scott. When that photo was taken, they’d already been tight for years. Seamus’ uncle was a longtime defensive coach for the Oregon Ducks. A couple times every season, Seamus and his dad would make the trip up to Eugene to catch a game. In 2009, as you may remember, the Ducks hired an up and coming coach named Scott Frost and put him in charge of the wide receivers. That season, Seamus happened to be a receiver on his Pop Warner team. When Scott found out about this after a practice Seamus attended, he pushed back whatever was next on his schedule and stayed on the field to give him some one-on-one coaching. For the next half hour, he ran Seamus through the same the drills that he watched the Ducks perform during their practice. Footwork, blocking, catching, it was a real practice and Scott treated him just like one his players. When I read the email from Seamus’ dad that recapped meeting Scott, I about fell out of my chair. Seamus made friends with the new receivers coach when we were up in Eugene. 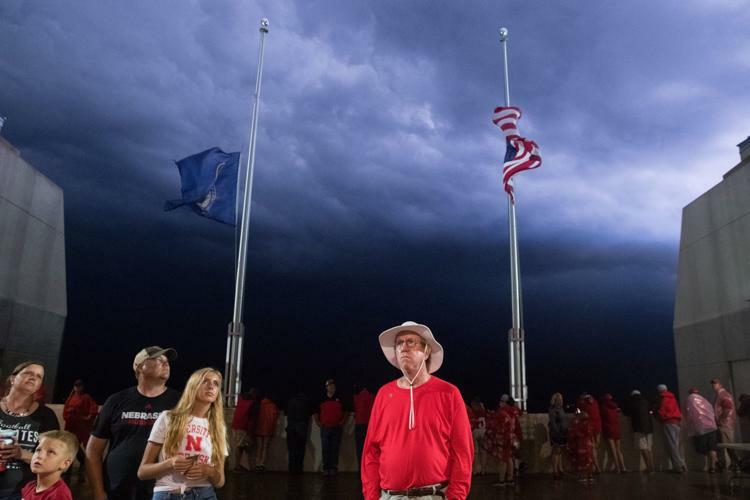 I guess he’s a Nebraska guy. 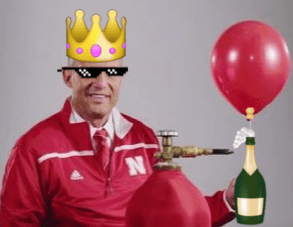 Have you ever heard of Scott Frost? If I recall correctly, I believe my reply included every 1997 Husker highlight I could find on YouTube. 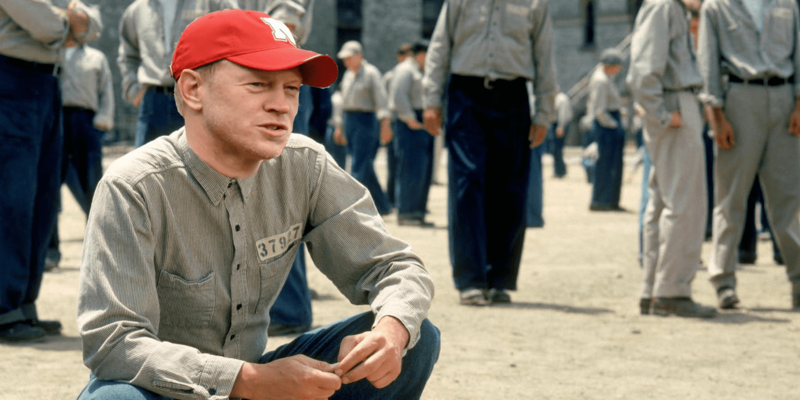 A short while later, Seamus’ dad came down with a full blown case of Scott Frost Fever. You never told me about him. He took down Peyton Manning! Dude played in the NFL for years. Bill Walsh and Tom Osborne were his coaches! The best part about Seamus’ coaching session with Scott was that it was far from a one time deal. 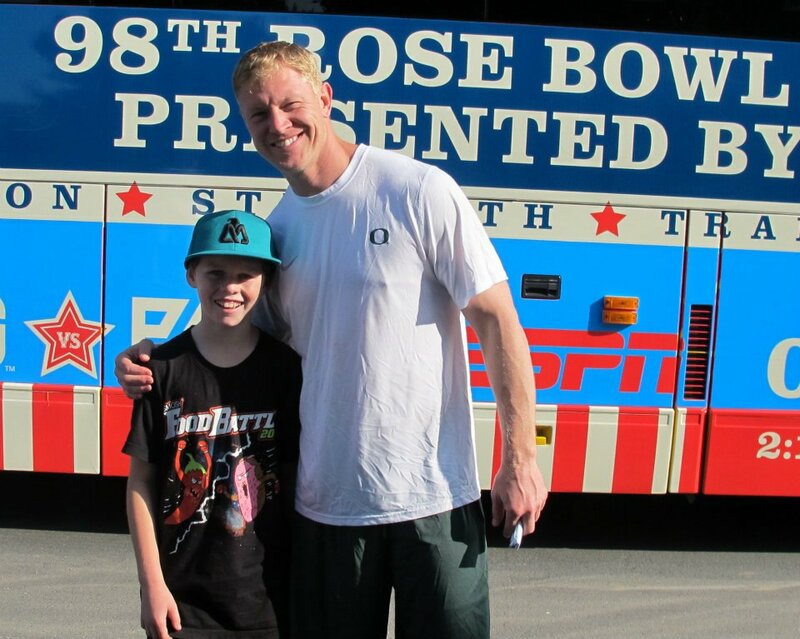 Every time Seamus was up in Eugene or the Ducks would be down in LA prepping for the Rose Bowl, Scott would stay after practice and run him through drills. It got to the point where Seamus basically had a private coach. 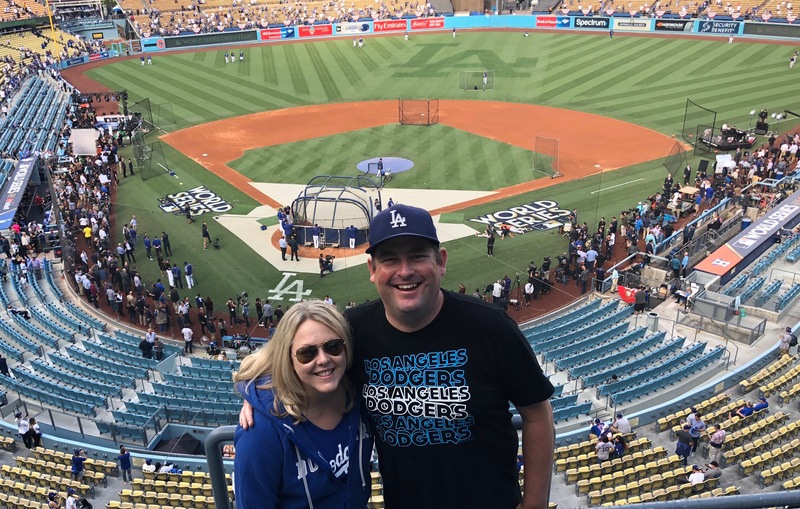 Here in LA, kids have private coaches for every activity they do and the fact that Seamus had Scott working him out is the kind of thing that starts a coaching arms race among parents. Coaching Seamus was not something Scott had to. 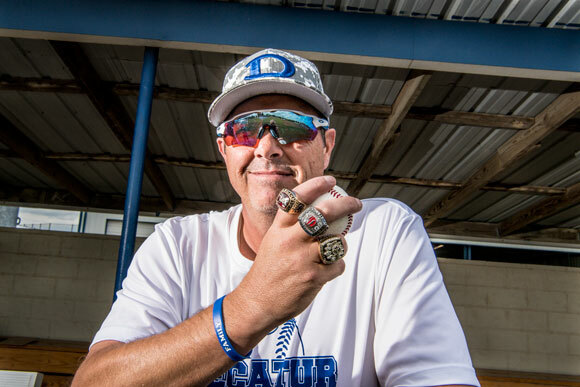 It was something he wanted to do simply because he loves coaching. Every time I’d get an update on their latest practice session, it made me like Scott even more. 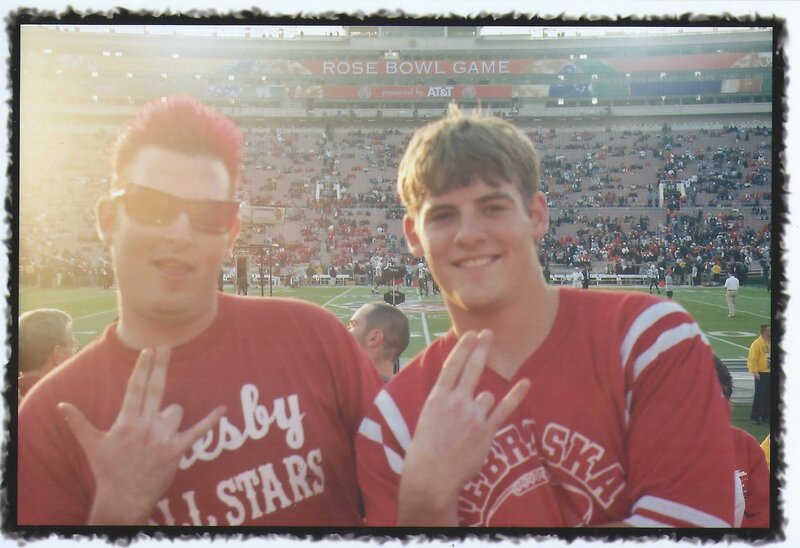 Seamus and Scott before the 2012 Rose Bowl. 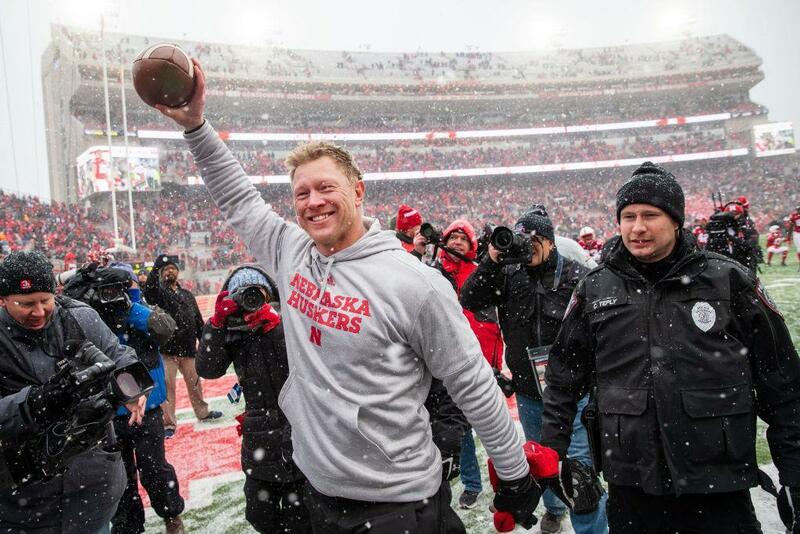 If he can have that much enthusiasm for coaching a random kid who showed up to watch practice, I can’t help but imagine how he’s molding the Huskers into a completely different team than the one we’ve seen the past few years. 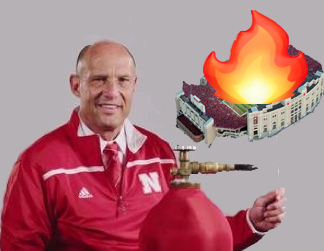 Husker Nation is going to be in for a treat on Saturday. 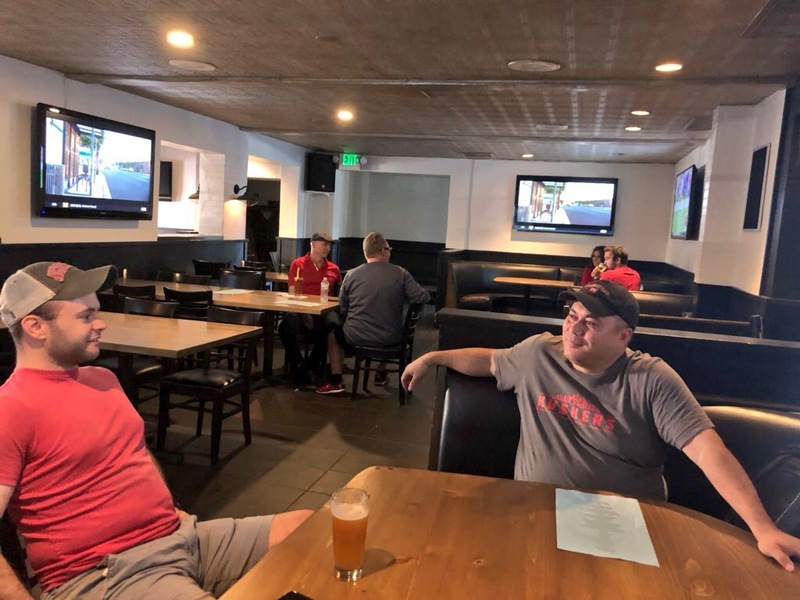 Seamus has never given me a straight answer if he ever wore his Husker jersey to an Oregon practice and he certainly didn’t text me a photo of Scott marveling at how good he looked in scarlet and cream. Whenever I’d ask him about it, he’d quickly change the subject to Star Wars and our conversation would be off in a new direction. I have a hunch that moment can still happen though. Seamus hung up his shoulder pads after his freshman year to focus on music. He’s grown up to become an incredible drummer and will be graduating high school in June. His band is already playing gigs in and out of town and record labels are starting to get curious about them. In a few years, if you see a hot new band playing Pinnacle Bank Arena and the drummer happens to be wearing a number 7 Husker jersey, that’s probably my buddy Seamus behind the kit. Grab a picture for me, will you?